On average, every healthy man and woman should get a professional dental check up and cleaning every six months. However, those with any dental problem may need a visit to a dentist Richmond Hill much more often. The regular dental care routine only does so much. A checkup gives a thorough assessment of your dental problem enabling the detection of any conditions way earlier. 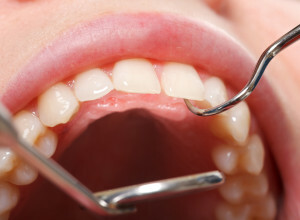 For an individual with a continuing dental issue from gums to the teeth, such checkup visits will be frequent because of the need for close management. Other individuals who will need more than just two yearly visits are those marked to be at a high risk of dental disease. During a routine check up, the dentist usually performs a number of checks most of which are standard practice. This involves a comprehensive check on your teeth, gums and mouth looking for signs of any dental problem or issue. As part of your dental examination, the dentist will use x-rays to diagnose areas that cannot be seen from the outset. Such areas include jaw bones, impacted teeth and decay between teeth. With x-rays, the dentist is also able to detect conditions like abscesses, cysts and tumors deep in gums and teeth. This is a crucial step that sees the dentist clean around and below the gum line. This removes plaque piled up tartar which cause cavities and infection. You also get polish and through dental flossing. After several visits the dentist can easily come up with a checkup routine that fits your dental health care and risk level. The idea of a regular dental checkup is to prevent any disease from occurring and incase it arises, to stop it while at a manageable stage.